3. 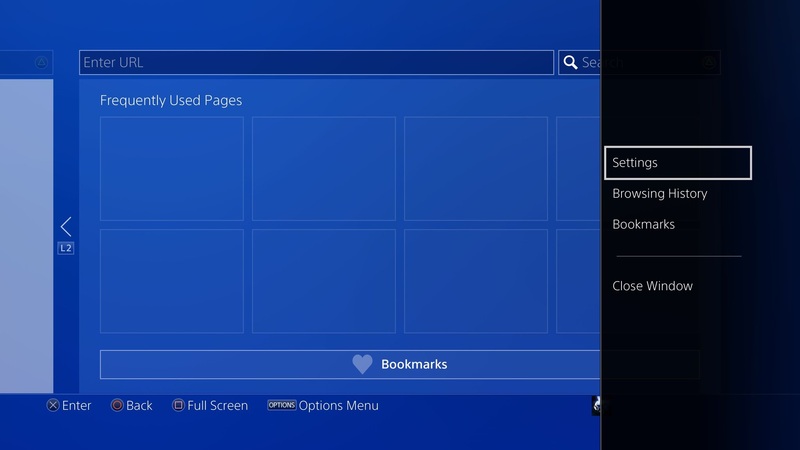 Press the "Options" button on the PS4 controller. This will pop-up a menu on the screen. 5. 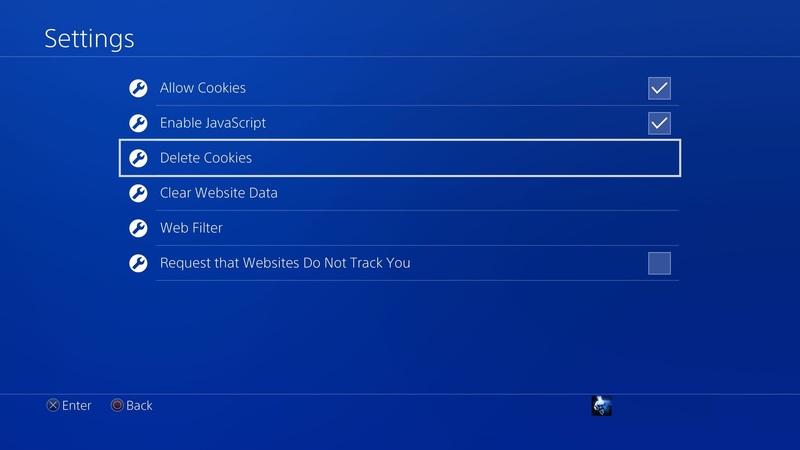 Select "Delete Cookies" and click OK.
6. Select "Clear Website Data" and click OK.